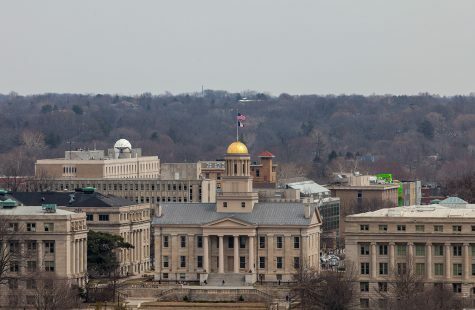 The UI proposes tuition increases of more than 7 percent for resident undergraduates and 2 percent for nonresident undergraduates each year in the next five years at a state Board of Regents Tuition Task Force meeting on Aug. 14. If higher education in Iowa is to remain a public good, universities must be funded accordingly, University of Iowa President Bruce Harreld says. 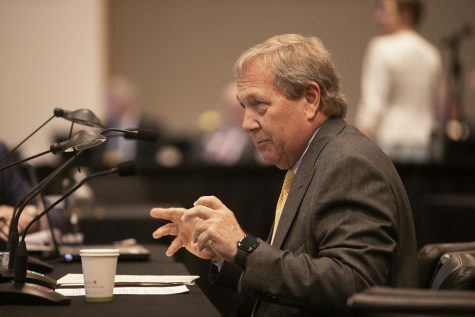 In light of the nationwide trend of states divesting in higher education, Harreld maintained the UI administration’s appeal in his five-year tuition plan presentation on Monday for boosting resources — whether that is state appropriations or tuition revenue — to fund strategic initiatives. 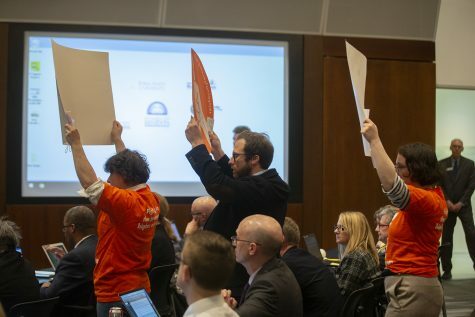 The meeting, which was held in 101 Biology Building East, was the last of three meetings of the state Board of Regents’ Tuition Task Force. 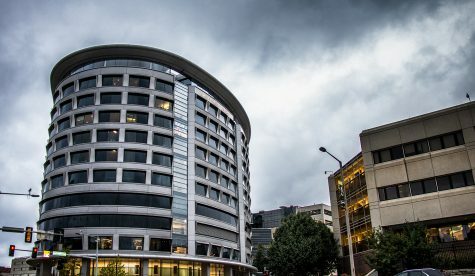 The task force convened this summer to discuss the realities of state support for public universities after a state budget shortfall led to a reduction of approximately $20 million in appropriations for the regent universities. Institutional heads presented five-year tuition plans in hopes of offering students and families more predictability in planning their educational expenses.Meetings were held on Aug. 7 and 9 on the University of Northern Iowa and Iowa State University campuses after the cancellation of a scheduled meeting in Des Moines for legislative, economic, and business-development stakeholders. 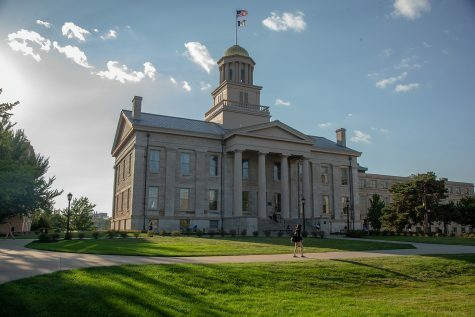 The UI administration proposed an annual increase of 7.08 percent in resident undergraduate tuition through fiscal 2022, meaning tuition will climb from $7,486 this fall to $10,537 in the fall of 2022. For nonresident undergraduate tuition, the proposed annual increase is 2.08 percent each year, which will take tuition from $29,130 this fall 2017 to $32,288 in the fall of 2022. 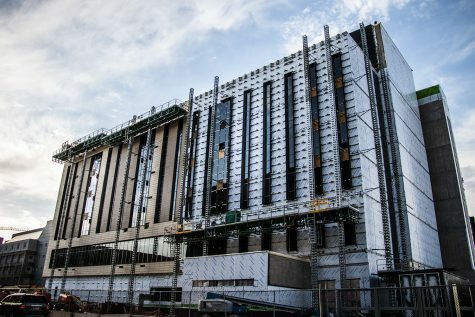 The regents will consider the universities’ tuition plans when they vote later in the fall semester on tuition rates for the following academic year; these proposals are for the regents’ consideration in deciding upon those rates and future rates. 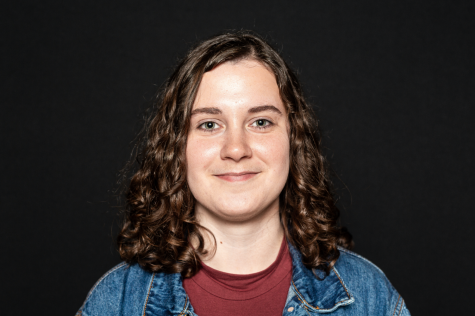 Student leaders across the three regent universities have called for lower nonresident undergraduate tuition rates, because undergraduates make up a sizable portion of the student population. UI Student Government President Jacob Simpson urged the regents in May to think about tuition increases in absolute dollar values rather than percentages because for nonresidents, “percentages hide the magnitude of the burden being placed on nonresident students,” he said. 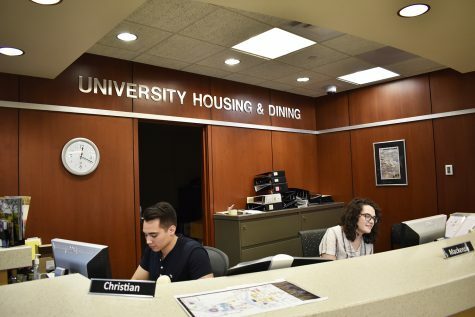 Rachel Boon, the regents’ chief academic officer, said nonresident students compose 29 percent of the undergraduate population at regent institutions; at the UI, nonresident undergraduates and international students make up 45.5 percent of students, according to regents’ documents. Compared with its peer institutions, UI resident undergraduate tuition rests at the bottom, while nonresident undergraduate tuition sits near the bottom. Harreld said raising tuition would place the UI’s tuition rates at the current median; he suspects the median will continue to rise as universities continue to hike tuition. State support for public universities has trended downward in recent decades. According to a video on the UI’s budget, in fiscal 1990, state appropriations provided 64.3 percent of the UI’s funding, and tuition revenue contributed 28.3 percent; by fiscal 2017, the roles of state support and tuition revenue had reversed, and state appropriations made up 31.6 percent of the budget while tuition revenue hit 62.5 percent. If state funding had kept up with inflation — which has risen 53 percent — Harreld said the UI would have more than $100 million more annually in resources. The UI would have received $342 million in fiscal 2017, which is around 57 percent more than the $217 million the UI will receive in state support during fiscal 2018. Iowa is one of 11 states, including Illinois, Nebraska, and Kentucky, that has seen a reduction in resources per student from 1990-2015, according to data provided by the Cato Institute. Tuition in 39 states has increased more than state funding has declined. To make up for the decline in state support, the UI has aimed to trim costs by finding efficiencies and boosting external support through philanthropy and other sources. The UI reported in July an estimated 1 percent increase in total external funding — including gift commitments and charitable grants from the UI Foundation — from $551.9 million in fiscal 2016 to $557.7 million in fiscal 2017. Nonfederal funds supporting research increased from $437.9 million to $443.3 million. Improving initiatives to elevate student success, a part of the UI’s strategic plan, will cost between $154.5 million to $164.5 million. 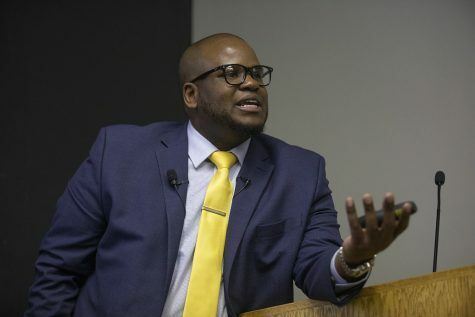 The plan includes boosting faculty compensation, maintaining high-impact practices, and strengthening cultural diversity and success of underrepresented students, in part by contributing to need- and merit-based financial-aid offerings. 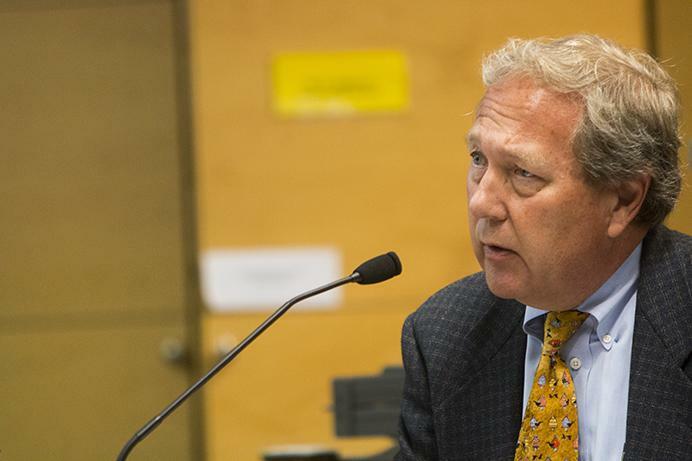 Keeping faculty salaries competitive has been a top priority for the UI administration, and Harreld told reporters he does not see a point at which the UI would opt not to raise salaries. The UI will spend $4.8 million to increase faculty compensation. ISU, alternatively, chose not to raise salaries for fiscal 2018 in light of the tuition increases and decline in state support. The outlook for state support remains uncertain. A recent report from the state’s nonpartisan Legislative Services Agency showed the state could see another $104 million shortfall after falling short of projections.